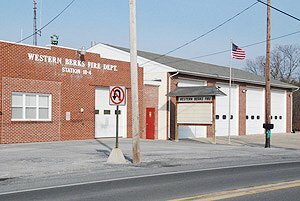 The Western Berks Fire Department operates out of four stations which were originally the legacy fire companies of Wernersville, Sinking Spring, Fritztown, and Lower Heidelberg. Originally the Community Fire Co. of Fritztown, the Western Berks Fire Department Station 3 is located at 1060 Fritztown Rd. in South Heidelberg Township. Originally the Liberty Fire Co. No. 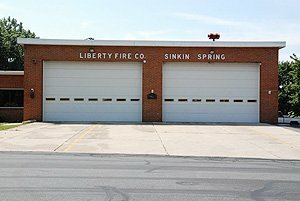 1 of Sinking Spring, the Western Berks Fire Department Station 2 is located at 835 Ruth St. in Sinking Spring Borough. Originally the Citizens Hose Co. No. 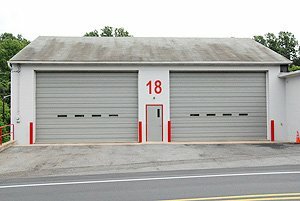 1 of Wernersville, the Western Berks Fire Department Station 1 is located at 111 Stitzer Ave. In Wernersville Borough. 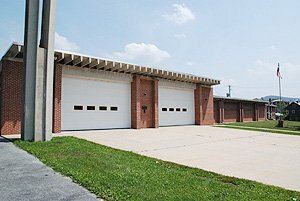 Originally the Lower Heidelberg Township Volunteer Fire Co., the Western Berks Fire Department Station 4 is located at 505 Brownsville Rd. in Lower Heidelberg Township.